Location on the beach is good. Pool shaded in the morning is good. There's a restaurant, and sometimes (unknown when, as no info provided) entertainment. We stayed in a beachfront apartment. The view was amazing. The walks along the beach front spectacular. Convenient to supermarket and restaurants but not noisy. Fantastic location right by the sea. The apartment was spacious and the patio and grassy area at the front was very nice. Great hotel, we've booked a 2-bedroom apartment for the family of five and spend a great week in January! There is plenty of space and great Sea view. There are a lot of restaurants, cafeterias and two small supermarkets close to the hotel. We could always find a parking lot on the street. Stayed in Nerja over Christmas. Had a very enjoyable stay. Located practically at the beach. Sunbeds in the garden. Very nice 2 floor (6 persons) appartment. All other facilites within walking disctance. Closeness to the beach and plenty of eating and drinking options nearby. Lock in a great price for Apartamentos Perla Marina – rated 8.1 by recent guests! Apartamentos Perla Marina This rating is a reflection of how the property compares to the industry standard when it comes to price, facilities and services available. It's based on a self-evaluation by the property. Use this rating to help choose your stay! 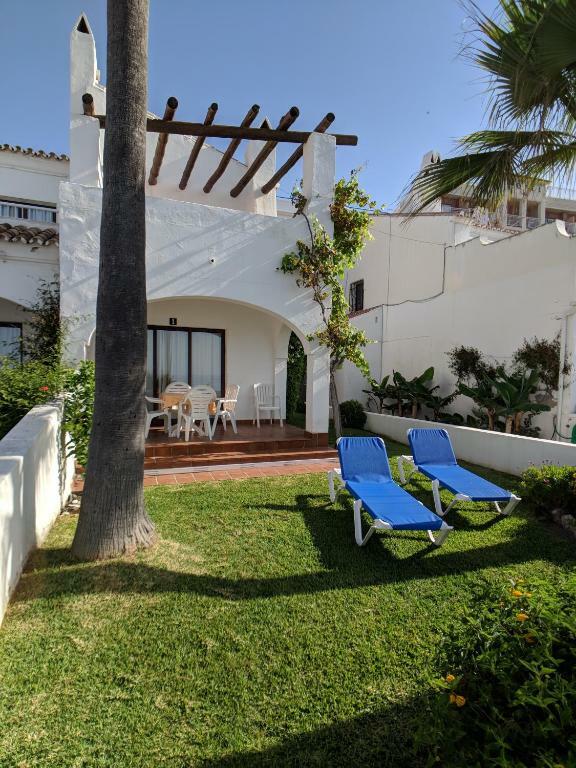 One of our top picks in Nerja.This attractive apartment complex is situated on Nerja's seafront, just a 10 minute walk from the historic quarter and the famous Balcony of Europe. Spend the day relaxing by one of the 2 outdoor swimming pools and enjoy sunbathing. You can go for a swim to cool off when the temperatures get too hot. There is also a reading room on site, where you can relax with a book in the evening. Each of the apartments in Perla Marina comes with its own balcony, where you can soak up the sun in privacy. The apartments require a minimum of 5 night stay. This is our guests' favorite part of Nerja, according to independent reviews. 뀐 Located in the top-rated area in Nerja, this property has an excellent location score of 9.4! When would you like to stay at Apartamentos Perla Marina? This apartment features a private entrance, microwave and kitchen. 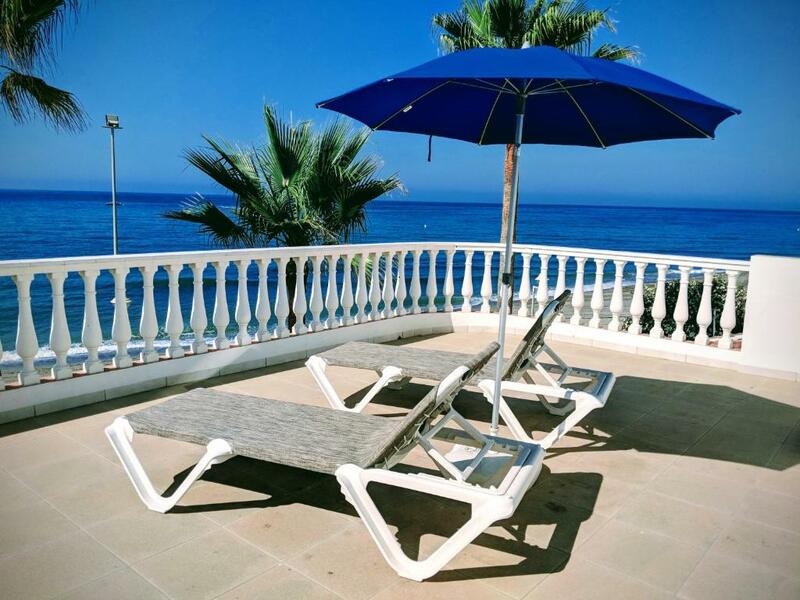 Apartamentos Perla Marina are located on the beach and have perfect facilities to relax and enjoy everything there is to learn about Nerja. The apartments have everything you need: kitchen, bathroom, terrace, TV, air conditioning. House Rules Apartamentos Perla Marina takes special requests – add in the next step! Apartamentos Perla Marina accepts these cards and reserves the right to temporarily hold an amount prior to arrival. Please inform Apartamentos Perla Marina of your expected arrival time in advance. You can use the Special Requests box when booking, or contact the property directly using the contact details in your confirmation. Not enough power sockets -in the kitchen we had to unplug the kettle to use the toaster / coffee maker. Mattresses a bit hard. The unit is a little but dated. Property internally very dated and tatty . Fridge rusty , bath , ground in dirt , wasn’t told about the hire of the air con/ Heater remote when we checked in , so spent the first night freezing and searching for a remote . The location was amazing. I have been going to nerja for the last 5 years, and i would defently stay here again . Do not stay in Apartment 29: Found mould all across the wall of second bedroom the night before leaving. This is alarming to say the least & the most disappointing aspect of our stay. Second problem was the vile smell coming from the drains in main bathroom - we needed to keep window fully open, plug in bath and bought ammonia to combat smell. Despite being fixed several times the front door lock was faulty and either wouldnt lock or jammed. Staff were friendly. The location is beautiful.